I think I can remember learning to read; that’s how I started the first draft of this memoir, but on reflection perhaps I should say, more accurately and less impressively: I think I can remember having learned to read. I wish I could be more precise. Can anyone remember learning to read? It’s a skill as important as learning to walk, but both memories are equally and sadly lost. My parents must have read to me before I went to school and begun to teach me the alphabet and simple words, but frustratingly I remember nothing about it. I first went to school in 1962 when I was, or was just about to turn, five. I can remember quite vividly the big high-ceilinged off-yellow room under the bell tower in what was then St Peter’s School, Wokingham (now it’s houses), next door to the Hope and Anchor pub (which was later to become important in my life). But I can’t remember any early lessons or being taught anything. On the very first day (I think, but perhaps I’m transplanting an event from another occasion) we were given small handheld blackboards and pieces of chalk, probably as a way of occupying us. I immediately drew a typical child’s picture of a house - four windows, door, gable, smoking chimney, winding path – but then suddenly had a guilty notion that I was supposed to wait for instructions and would be told off for sullying the blankness of the blackboard, and hastily wiped it, looking around anxiously in case anyone had witnessed my potential misdemeanour. I’m not sure that I like what this incident seems to say about my infant self. As I say, I have no memory of anyone teaching me to read, which is galling. 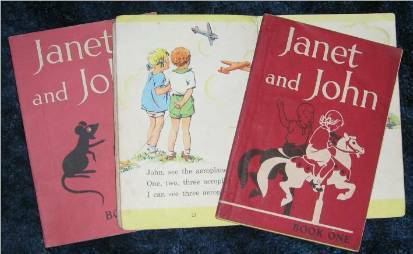 But I do remember sitting with Janet and John books and suddenly (or so it seems now) being able to make sense of them, and zooming through several at a sitting. When I think about junior school I find it hard to recall many incidents in which books feature, which is strange because reading became an important fact of my life quite early on. 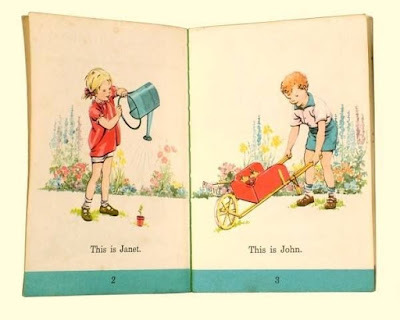 Certainly I can remember that when it came to birthdays, books were always, or nearly always, what I chose, usually big factual picture books about such subjects as birds and planes. 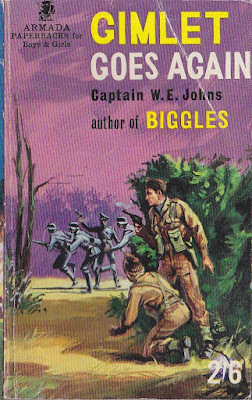 I can also remember spending my pocket money on Armada Biggles paperbacks (this must have been when I was a little older); I loved these smaller books with their bright, exciting covers. (To an adult’s eyes these designs seem crude, the cheap paper on which the books were printed, and which went brown and brittle almost immediately, horrible, and the ‘perfect’ binding, which meant that pages often fell out, far from perfect. 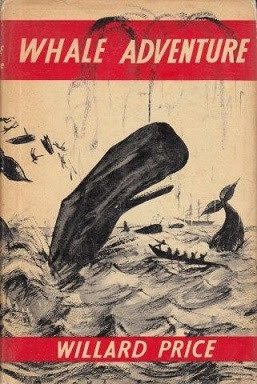 Puffin books, the junior imprint of Penguin, were much better produced.) I think I enjoyed the fact that for a relatively small outlay (two shillings and sixpence) you could acquire something that had the power of instantly taking you away from the routine world as you knew it to an infinitely more glamorous place. 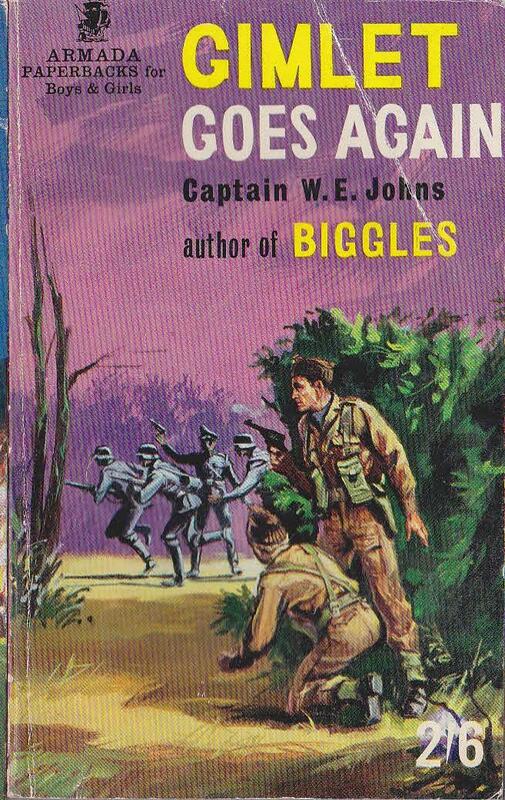 My safe and pleasant but humdrum life was no match for the aerial adventures of Biggles and his colleagues. A book, with its shiny, colourful cover and enticing text, was a magical tool, a time machine, an unlimited ticket to anywhere, anywhen. 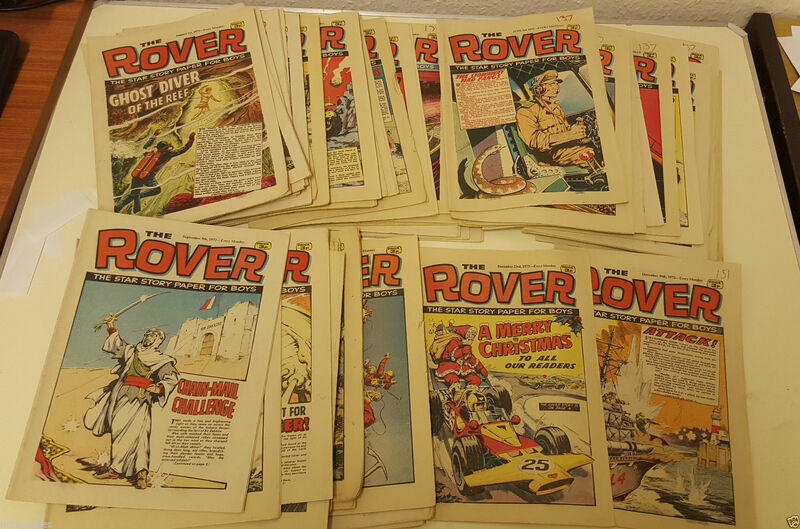 And when you’d finished reading it, you could put it on your shelf with your other books and have them preside over you and your room, which was nearly as good as reading it. It wasn’t like watching a film or television programme, which was intangible and fugitive; a book was solid, reliable, repeatable. 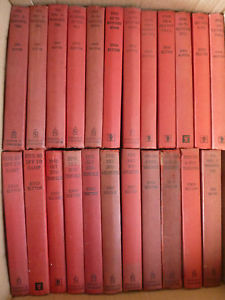 Almost the only time I can remember coming into conflict with my mother was over books, or more specifically about the way they were arranged. I had my books on shelves in my room, (some were probably stacked on any available flat space too), and it was important to me that they were visible. One day I came home from school (I would have been about eight or nine, perhaps) to find that she had put some of them away in a cupboard or chest, no doubt thinking that by thus providing me with more space she was helping me, and that when I got home and emerged from my bedroom (which I shared with my brother, so space was limited) I would be beaming with gratitude. Alas, I was far from grateful. I was cross, upset and tearful at this violation, as I think I saw it. She was I’m sure equally upset by my reaction. I can’t remember the upshot, but sooner or later I must have moved them back so once more their spines stood like sentinels guarding my little domain. 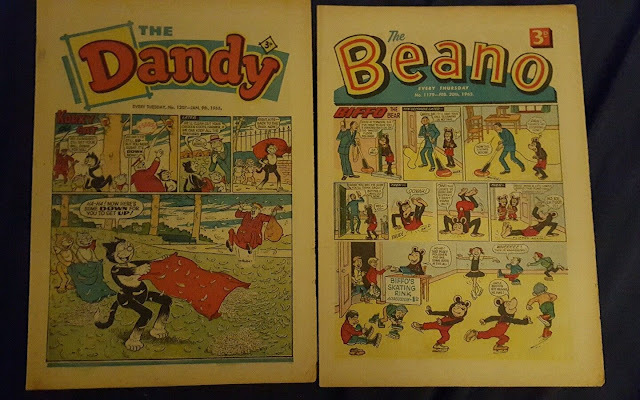 At about the same age I tried to write some stories of my own about a character called Super Teddy Bear, but I don’t think I actually produced anything much beyond the basic concept. I wrote things to order at school, but otherwise my literary endeavours were confined to projects that never got beyond the initial idea, a pattern, I’m sorry to say, that’s continued into adulthood. I wish I could remember more about the books I read before the age of eleven or so. I remember Biggles (I was a passionate Captain W. E. Johns aficionado) and the Famous Five vividly, the latter red hardbacks still very common today (I don’t think my copies ever had the dust-jackets). 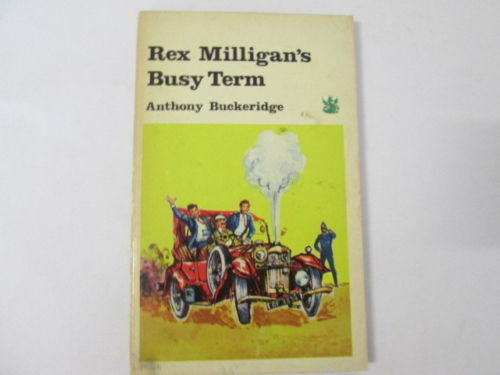 I was slightly puzzled by the (as I now realise, fantasy fifties upper-middle class) social background of Julian, George and co, and disliked the illustrations, probably because they looked outdated and so didn’t conform to my idea of what the characters should look like. In fact, the pictures made me cross and I did my best not to look at them. Evidently I had no taste for period detail at that time. 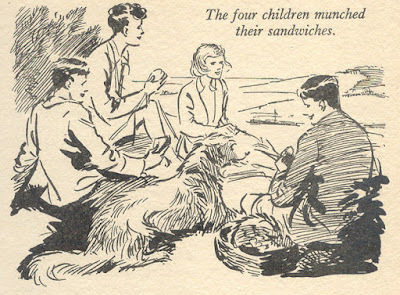 I also read the Enid Blyton Adventure series, though not so avidly, and although I tried the Secret Seven I never got on with them; maybe I thought they were too obviously rehashes of the Famous Five. 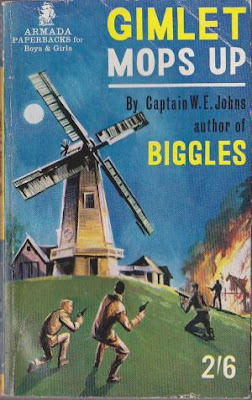 I was still reading Blyton at the age of eleven, which nowadays would qualify me as positively retarded, but we were more innocent and grew up more slowly in those days (or at least I did). I’m acutely aware that this is an embarrassingly unliterary reading list. 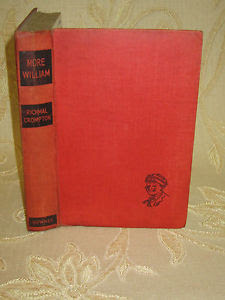 I did however also read and collect Anthony Buckeridge’s Jennings and Richmal Crompton’s William books, probably the first books of lasting literary value that I read. 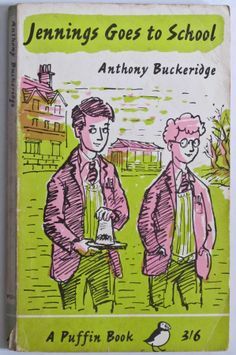 I certainly loved reading about the events at Linbury Court Prep School, so much more exciting and patterned than those at St Peter’s, and about the Outlaws' always well-intentioned debacles. 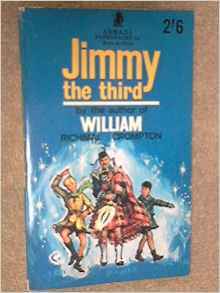 I also remember having some Richmal Crompton books for younger readers about a character called Jimmy – which were quite good, though not in the William class – and some by Anthony Buckeridge about a boy, Rex Milligan, at a grammar school, which I thought absolutely wonderful. W. E. Johns wrote some books about a character (a commando, I think) called Gimlet; I took harmless childish delight in the juxtaposition of the titles Gimlet Goes Again and Gimlet Mops Up. I probably read a little Malcolm Saville, and borrowed many books from the library that I've completely forgotten. But I didn’t read many ‘classics’; no Alice, Swallows and Amazons or Railway Children, though I was very moved by Black Beauty. Treasure Island and Kidnapped I think I tried but found uninvolving and didn’t finish. 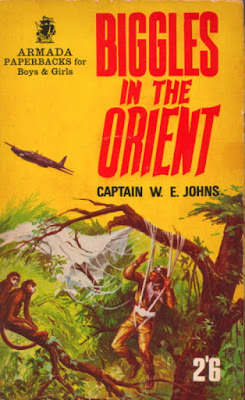 I did read King Solomon’s Mines and Huckleberry Finn (and was thrilled by the first and charmed by the second), but that wasn’t until a bit later, probably in my early teens. Reading was undoubtedly a refuge. My home was loving and secure, but rather crowded. I used to take a book with me into the toilet (well, I still do that, of course) and luxuriate in the privacy and solitariness it afforded, undoubtedly taking annoyingly long over the process. And the secret, illicit thrill of reading with a torch under the bedcovers! Cocooned in the warmth and darkness, safe from discovery or disturbance – could there be a finer feeling? 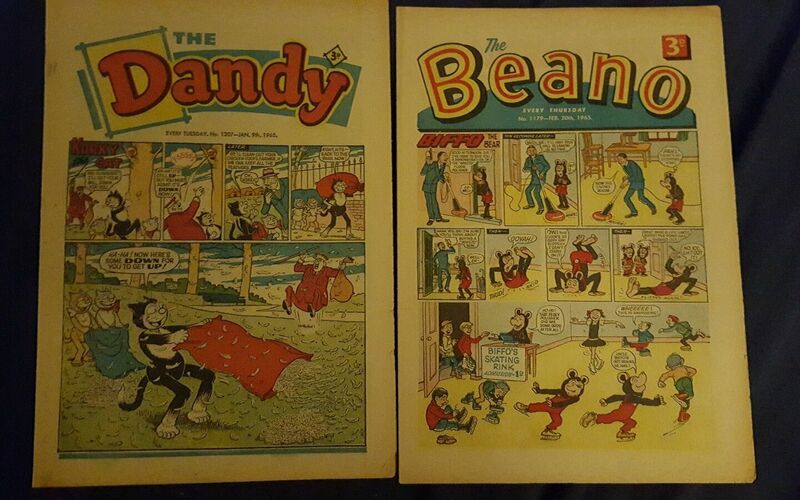 Later, in my teens, I would sit up late into the night reading in bed, which is nearly as good. The delicious aloneness as everyone else goes to bed and to sleep, leaving you to pursue your own adventures. The Home Counties in the sixties certainly weren't a hostile environment, so why I wanted a refuge I don't know, but books were my bulwark against the world. In a later chapter, or chapters, I hope to write about the books I read in my teens. You can read chapter two here.